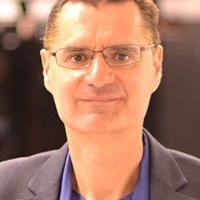 Dr. Koric has more than 20 years of experience at the National Center for Supercomputing Applications (NCSA), conducting cutting-edge applied research and providing consulting for the national academic and industrial computational communities on the center's HPC platforms. Dr. Koric is currently the technical assistant director of NCSA and provides leadership for the center's engagement with academic, government and private sector customers and partners. Dr. Koric is also leading research projects on the NCSA’s peta-scale high performance computing system of Blue Waters that aim to demonstrate the scalability of engineering industrial applications on the peta and even potentially exa-scale computing level. He also serves as Research Professor in the Mechanical Science and Engineering Department at the University of Illinois. His research interests are in multiphysics modeling of complex engineering processes and extreme scale high performance computing in science and engineering.